Although, I am a cheese fan, I feel like it generally doesn’t have a place at breakfast. I don’t like cheese on my eggs and don’t even think about adding cheese to my breakfast sandwich – yuck! Growing up my mom made Bacon and Cheddar Muffins often and that’s pretty much the only time I would ever eat cheese for breakfast. I decided at the ripe old age of 27 though, it was time to branch out a little so I made apple cheddar muffins. Not much of a “branch”, you say? Yeah, I guess not ;). 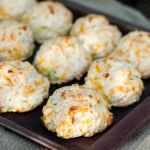 These muffins taste pretty similar to the bacon cheddar muffins, but minus the bacon and plus some apple. 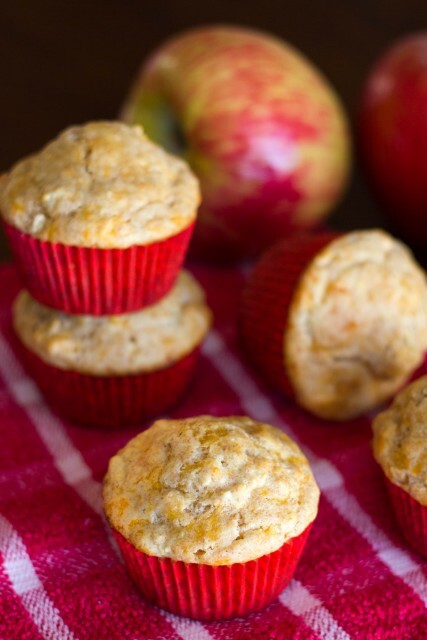 The apple adds only a hint of sweetness (they are still a savory muffin! ), and the apple flavor is subtle. 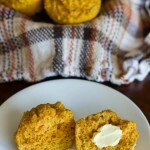 The cheese really steals the show with these muffins. If you wanted the apple to be more of a star, you could chop your apple instead of grating it, so you have a few chunks. You know, just so you know it’s there :). I kind of thought they’d be delicious with some bacon thrown in as well. But what isn’t better with bacon?? Enjoy! 1. Preheat oven to 400 degrees. 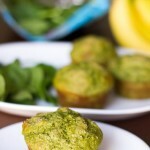 Spray 6 muffin cups with nonstick spray. 2. In mixing bowl, stir together whole-wheat and white flour, sugar, baking powder and salt. Add apples and cheese and toss to combine. 3. In another bowl (or measuring cup), whisk eggs lightly. Whisk in milk and butter. Make well in center of dry ingredients; add milk mixture and gently stir in dry ingredients from side until just combined. 4. Divide batter among prepared muffin cups. Bake for 20 minutes, or until tops are lightly browned. 1. I prefer to grate my apple for more even distribution, but alternatively you could use finely chopped apple. 2. 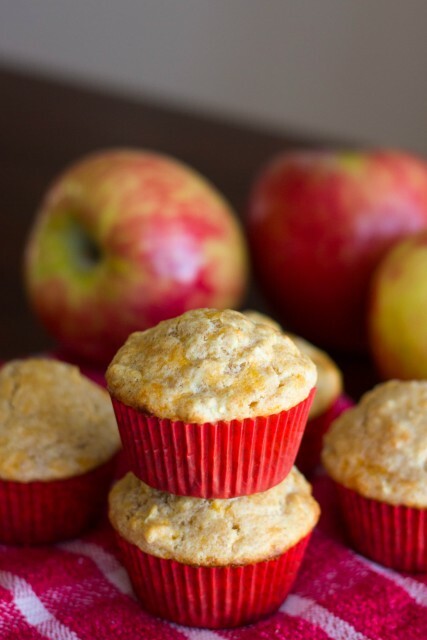 These muffins are not supposed to be “sweet”, but I’d recommend using an apple on the sweet-side as opposed to a tart apple. I used Honeycrisp. 3. I used paperliners, but found that my muffins stuck to the liners while still hot. Maybe this was my liners? Either way, I’d probably just spray the muffin tin with nonstick spray next time. I love cheese too! Thanks for stopping by :).